The new Note looks exactly the same as the previous one from the back side. Same metal back, camera alignment, same module, antenna band lines are still there. We can see minor changes like more rounded edges, more curved antenna bands etc. We see a difference in the front side of the phone. There is a big notch this time with a 6.26" Full HD+ IPS LCD display with 1080x2280 resolution. The aspect ratio raised to 19:9 and pixel density is same 403 PPI. As we already mentioned before, Redmi Note 6 Pro has the same processor like its predecessor, the Snapdragon 636. So there's nothing to discuss more. The software has some changes to notice. It will be coming with the latest MIUI 10 based on Android 8.1 (Oreo). At the end of November, there's no Pie from the Note 6 Pro. That seems less surprising as the predecessor came with 7.1.0 (Nougat) in February 2018. It received the Oreo in the Q3 of 2018. And looking at the update history of Xiaomi, Note 6 Pro doesn't seem to be receiving the latest software support from Google anytime soon. The module looks the same but is little different than the predecessor. The megapixel counts are same for the rear side (12+5) but the aperture for the primary camera changes to f/1.9 which is very close to Mi A2 (f/1.8). In the front side, the Note 6 Pro has one more sensor included with its 20MP (f/2.0) sensor. A 2 MP depth sensor has been added for selfie portraits. 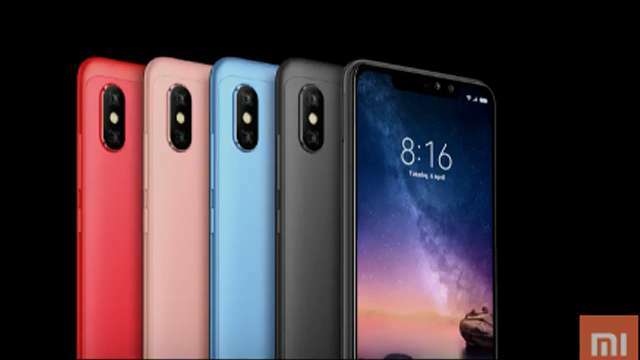 That's the only major change in the Redmi Note 6 Pro, the dual selfie cameras. 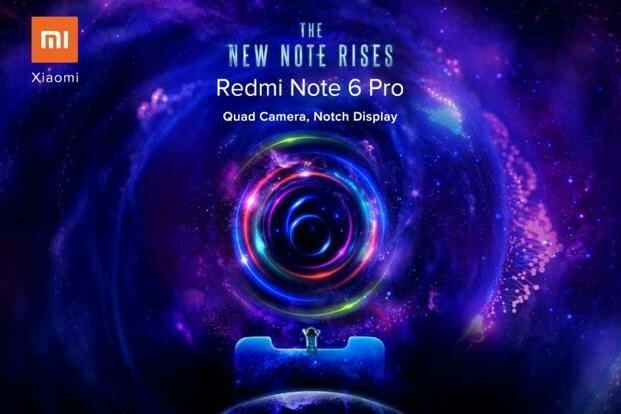 The Redmi Note 6 Pro has been launched in two ram variant having same 64 GB onboard storage. The 4 GB variant launched at 13,999/- INR and the 6 GB demands 15,999/- INR. It also has four color variants, Black, Rose Gold, Red and Blue. Here also the Note 6 Pro doesn't change too much. The 4000 maH battery and other features like Wi-Fi 802.11 a/b/g/n/ac, dual-band, Wi-Fi Direct, hotspot, Bluetooth 5.0 and the micro USB port remain same. Here's one thing to notice. It still has the micro USB but not the type C port. This can be a con at this time. It comes with the QC 3.0 support. Basically, Note 6 Pro will be the new competitor for the Note 5 Pro itself. People who wanted to buy the Note 5 Pro but couldn't because of its looks, Xiaomi has the solution for them. But Xiaomi must look for better combinations as they once had a solution in every range of budget. If they don't have better outputs for their consumers we will be seeing a new contender in their place soon.